ALL NEW PAINT!! Welcome to Charterwoods Subdivision where you can watch the sun rise and set over the fields of corn and beans, catch some fish or row a boat in the two ponds, or take a dip in the community pool. Did we mention you can find all of this IN Bloomington? Another plus – this area is in the award winning Tri-Valley School District! This beautiful home offers 4 bedrooms and 3 full baths. Fabulous features at 19105 Woodland Tr. 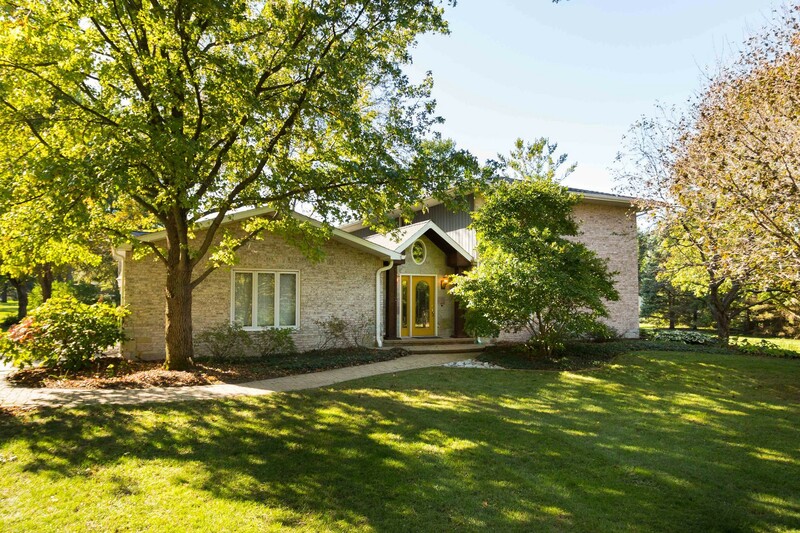 Bloomington, IL 61705 include a stunning four seasons room, tigerwood flooring, & a huge kitchen w/ updated cabinets and solid surface countertops. Outside, along with the almost one acre of land, you’ll find a mahogany deck w/ pergola and a large patio. Hello cookouts, entertaining, and s’mores! The third stall in the garage is heated and separated making it a great workshop area. Woodland Trail comes with a 14kw back up generator, too. The finished basement offers possible theater room or private office and another room that could be a bedroom but does not have an egress window. Come look! Fill out our quick contact form below to request a showing! Enjoy the pictures 🙂If you’d like to see other homes we currently have for sale, click here!